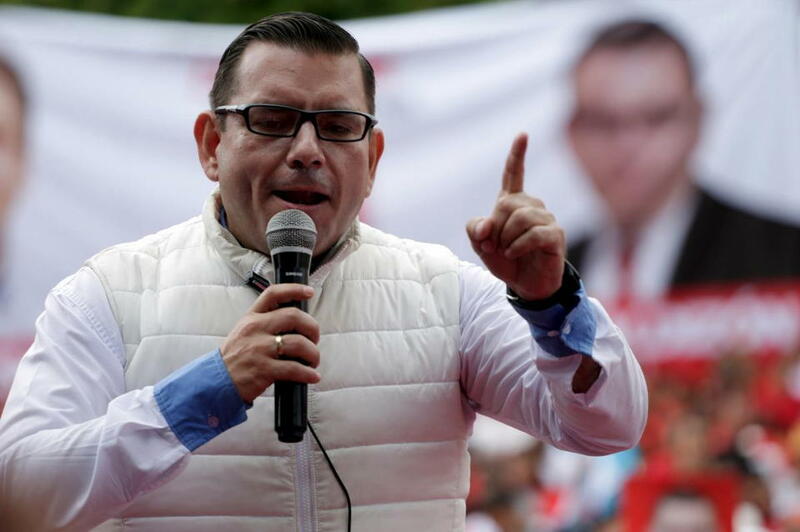 (Reuters) – Former Guatemalan presidential candidate Manuel Baldizon, who is wanted on graft charges, has sought asylum in the United States after he was arrested while trying to enter the country, authorities from both nations said. Baldizon, a wealthy businessman who ran for president twice, was detained at the airport in Miami on Saturday after flying in from the Dominican Republic, Guatemala prosecutor’s office spokeswoman Yesenia Enriquez said. Guatemala’s charges against Baldizon are part of a giant corruption probe involving Brazilian construction company Odebrecht SA, according to the prosecutor’s office. The scandal has claimed high-level political scalps across Latin America. The U.S. Department of Homeland Security arrested Baldizon following an Interpol alert resulting from a Guatemalan arrest warrant, the U.S. embassy in Guatemala said. “The United States will follow established international protocols to return Mr. Baldizon to Guatemala to face justice,” the embassy said, referring all further questions to Guatemalan authorities. Baldizon requested asylum in the United States, Guatemala’s foreign ministry said in a statement. U.S. Immigration and Customs Enforcement, which falls under Homeland Security’s jurisdiction, did not immediately respond to requests for comment. Baldizon is wanted in Guatemala on charges of illicit association, bribery and money laundering, the prosecutor’s office said in a statement. The statement said former Infrastructure Minister and brief presidential candidate Alejandro Sinibaldi was also wanted on suspected corruption charges stemming from the Odebrecht investigation, and was now a fugitive. The prosecutor’s office did not give any information on the link with Odebrecht, which has admitted to paying multimillion-dollar bribes across Latin America and has already spent $3.5 billion for settlements in the United States, Brazil and Switzerland. The prosecutor’s office carried out 10 raids on Saturday and arrested three people as part of the Odebrecht investigation, the statement added. In 2016, the head of Guatemala’s special anti-corruption prosecutor’s office told Reuters he had already been investigating Odebrecht’s bribes to a government official, and President Jimmy Morales said his administration would check all of the company’s contracts.